Gujarat Energy Research & Management Institute (GERMI) has published Advertisement for below mentioned Posts 2017. Other details like age limit, educational qualification, selection process, application fee and how to apply are given below. Intermediate (10+2 or ITI certificate), typing, proficient in computer operation with knowledge of MS Word, MS Power Point, MS Excel, Internet etc. For all above categories, Computer Operations and knowledge of MS-Office and English typing is must. For sr. no. 5 (Multitasking Staff), the candidate should have CCC from any recognized institution and must possess typing speed of 30 words per minute in Hindi and 35 words per minute in English. Above-mentioned maximum consolidated salary (CTC) will be offered based on the candidate’s experience, qualification and job profile of the previous company / organization. All above-mentioned positions are purely on contract basis for one year and deputed to designated site as per requirement. Mention clearly in your application the position applied for, as per eligibility. 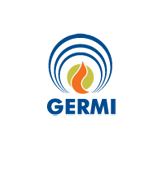 Duly filled application proforma with all documents should be sent to recruitment@germi.res.in on or before 6:00 pm (IST), 27 Sept, 2017 addressed to Director General, GERMI. No hard copy is to be submitted. All original documents should be carried by the shortlisted candidates at the time of interview.